Brighten your expression with a custom Browlift at Profiles Beverly Hills. We deliver consistent, natural-looking results for our Hollywood clientle. Have you ever been asked, “Is something wrong?” “Are you upset?” “Have you been sleeping alright?” Over time, if you keep hearing these questions, you may find that it is your brow that is the problem. Believe it or not, the effects of age on your brow may become significant as early as in your mid thirties, making you appear older than you actually are. Your brow and forehead areas often are the first areas to show signs of aging. Your skin begins to lose elasticity, and the effects of sun, wind, muscle contraction and gravity all begin to take their toll causing frown lines, forehead wrinkling, and an increasingly heavy brow. You may look tired, angry, or sad due to your aging brow and forehead. If this sounds familiar, a Forehead Lift or Browlift may be your answer. The Profiles Beverly Hills Browlift, restores your forehead area, to its youthful, natural height just above your orbital ridge. It not only corrects your drooping brow but also diminishes the appearance of the horizontal lines, wrinkles and furrows of your forehead which are giving you the appearance of looking tired, angry, or sad. Are You a PROFILES Beverly Hills Browlift Candidate? Most of the time, here at PROFILES, we find that the best candidates for a Browlift are those patients who come in wanting a Blepharoplasty or eyelid surgery. It turns out that if your upper eyelids are heavy and sagging, you are usually in need of a Browlift as an addition to possible eyelid surgery. It turns out that it is not new excess eyelid skin that is the problem, but, rather, that your brow is sagging, contributing to redundancy in your eyelid skin. While a Browlift is most often performed on our patients aged forty to sixty, the procedure is increasingly being done earlier, to patients in their mid to late thirties. In fact, Drs. Solieman and Litner here at Profiles Beverly Hills have noticed that our patients are developing deep furrows or frown lines due to stress or muscle activity, at younger and younger ages. Other patients who routinely undergo Botox injections come to realize that they can have surgery once and often reduce or avoid entirely the quarterly appointments and costs involved with regular Botox use. To see an approximation of how Drs. Solieman and Litner at Profiles Beverly Hills can help you, simply look at yourself in the mirror. Placing the palms of your hands above your eyebrows, at the outer edges of your eyes, gently draw the skin upward so that the brow and forehead area are raised. Generally, if your brows are starting to sag, you will notice how this immediate action enhances your appearance and restores you to your youthful, more vibrant, open-eyed look. Unlike many other centers that only perform one type of procedure, your Profiles Beverly Hills Browlift, performed by Drs. Litner and Solieman, is a very individualized procedure. 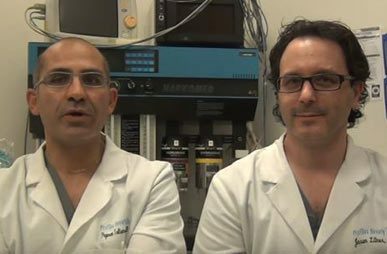 Our surgeons utilize state of the art proven techniques which are uniquely tailored to you based upon your individual anatomy and your unique goals. During your personal consultation, Drs. Litner and Solieman, Browlift specialists, will evaluate your brow, forehead, eyelids, hairline, and underlying bone structure in order to tailor your surgery to you and you alone. Photographs will be taken so that our doctors can further study your face and eyes and then show you what we can be achieved. In fact, for those of you who want to see the difference between a Browlift and Eyelid surgery, our doctors would be happy to demonstrate that to you as well. Individualization is the key to a natural appearing Browlift. Our specialized surgeons will not leave you with a wide eyed, ‘deer in headlights’ look, but rather the natural, refreshed look you’ve been looking for. At Profiles Beverly Hills, Drs. Litner and Solieman are known for meticulously planning every step of your surgery. They will help you to determine if your cosmetic goals are best achieved with an open or an endoscopic technique. They will discuss the state of the art techniques they will employ, as well as the pros and cons of the various options. Of the various brow lift techniques, the main difference is the incision placement. These different methods are tailored by Drs. Litner and Solieman, taking into account the variations in how men and women age, your hairline, and your goals. In general, however, the forehead lift removes or alters the muscles and tissues responsible for furrowing and drooping, thus smoothing the forehead. The eyebrows are also raised to a more youthful position and frown lines are minimized. 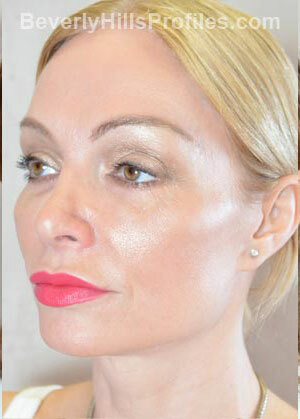 The traditional browlift technique used for many years involved a coronal incision that is located behind the natural hairline. The newest endoscopic browlift technique, on the other hand, involves several small, 1/2 inch to 1 inch incisions which are located just behind the hairline. While Drs. Litner and Solieman often use the endoscopic technique, which is less invasive and carries a lower risk of temporary numbness of the scalp, we may recommend a third option for you, the ‘trichophytic’ brow lift. This unique approach places the incision immediately at the hairline and is ideal for patients with high foreheads and slightly elevated hairlines. In this way, the hairline is not elevated any further, leaving you with a natural post-operative result. At the same time, this technique provides a more comprehensive and lasting result. If you are in the Los Angeles or Beverly Hills area, please feel consultation to schedule your consultation personalized PROFILES consultation to discuss these options in more detail and to decide which brow lift technique is right for you. Prior to your brow lift surgery at PROFILES Beverly Hills, your doctors will describe all details of your procedure. You will also be given specific instructions on preparing for your surgery including guidelines for eating and drinking, vitamin and medication intake, smoking, and after care. Please be sure that while preparing for your surgery, you arrange for someone to give you a ride home after your procedure as you will be able to go home the same day as your surgery. Also, if you have short hair, we encourage you to grow your hair out prior to surgery and even prior to your consultation so as to better help conceal the incisions post-operatively as they heal on their way to becoming inconspicuous. All of our outpatient procedures including brow lift surgery are performed in our state of the art, fully accredited, office-based surgical facility – the PROFILES Surgery Center – convenient to Beverly Hills and the Los Angeles area. Here at PROFILES, we utilize only board certified anesthesiologists for all our surgeries. We have found that while brow lifts can be performed under sedation, most of our patients prefer general anesthesia. However, the extent of your procedure and your preference can also help to determine the type of anesthesia used. The anesthesiologist will meet with you prior to your procedure to address any questions or concerns you may have. Most of our patients describe feeling tight and somewhat uncomfortable the night of surgery, but rarely is pain an issue. You will be provided with pain medications should you need them both during the first night and, if ever necessary, for the days that follow. The postoperative dressing will be removed on the morning after surgery in our office. We will wash your hair and clean all incisions. You will be given specific instructions for gradually returning to your normal activities. In general, you will need to avoid strenuous activities such as heavy exercise for a minimum of two weeks. Because we care about your immediate comfort and long term results, we schedule all of your follow-up appointments when you schedule your surgery. And, because we are so committed to your long term results and happiness, we will follow your postoperative course even years after your Brow lift surgery.